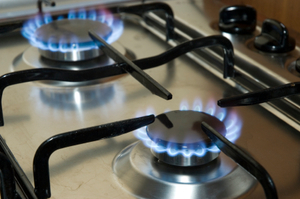 British Gas - one of the UK's 'big six' energy suppliers - has moved to reassure customers after spot gas prices reached their highest level since 2006, according to an article published by British Gas Newsroom. The cold weather currently being experienced across Europe has led many suppliers into a struggle to meet demands for gas and power. Despite this, British Gas has revealed that it bought its gas in bulk before the dramatic rises; the energy supplier added that it was also "committed to holding prices throughout this winter." Managing director of energy at British Gas, Ian Peters, also moved to reassure customers. He said: "We know household budgets are already under pressure, and people will be worried by the cold snap and reports of record high gas prices in the wholesale market. "British Gas customers shouldn't be alarmed by reports of rising demand and record rises in the short-term wholesale markets. Because we've already bought the bulk of the gas our customers will need this winter, we can ensure we have enough for our customers - and we can protect them from spikes and sudden rises in the wholesale markets like the ones we've seen this week," he added.